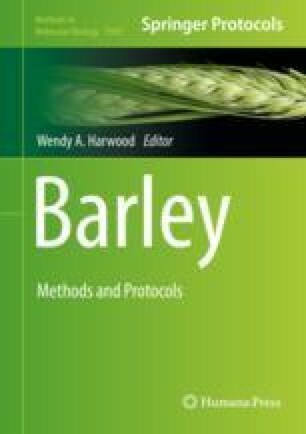 Assembly of the barley genome and extensive use of RNA-seq has resulted in an abundance of gene expression data and the recognition of wide-scale production of alternatively spliced transcripts. Here, we describe in detail a high-resolution reverse transcription-PCR based panel (HR RT-PCR) that confirms the accuracy of alternatively spliced transcripts from RNA-seq and allows quantification of changes in the proportion of splice isoforms between different experimental conditions, time points, tissues, genotypes, ecotypes, and treatments. By validating a selection of barley genes, use of the panel gives confidence or otherwise to the genome-wide global changes in alternatively spliced transcripts reported by RNA-seq. This simple assay can readily be applied to perform detailed transcript isoform analysis for any gene in any species. Work is supported by grants from the Biotechnology and Biological Sciences Research Council (BB/I00663X/1: to RW), and the Scottish Government Rural and Environment Science and Analytical Services division.